My Twitter followers are important to me. No, really, you all are. But I’m not convinced that they’re important enough for me to want to wear them on my chest all day. 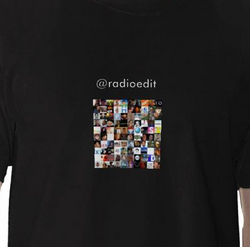 Still, you might be closer to them than I am, so for £20 you can stick them on on T-Shirt and look down every ten minutes at your lovely disciples. Also available are mugs (for £11), bags (currently out of stock) and business cards (£5.50). Just think to yourself before you make your purchase – will you genuinely still be wearing that thing in six months’ time? Poor old Jammie Thomas is the woman who was convicted of file sharing and ordered to pay the recording industry $220,000 in compensation.